Some of you may receive more phone calls than others, and sometimes they come from people that you don’t want calling your number, such as exes and/or telemarketers. 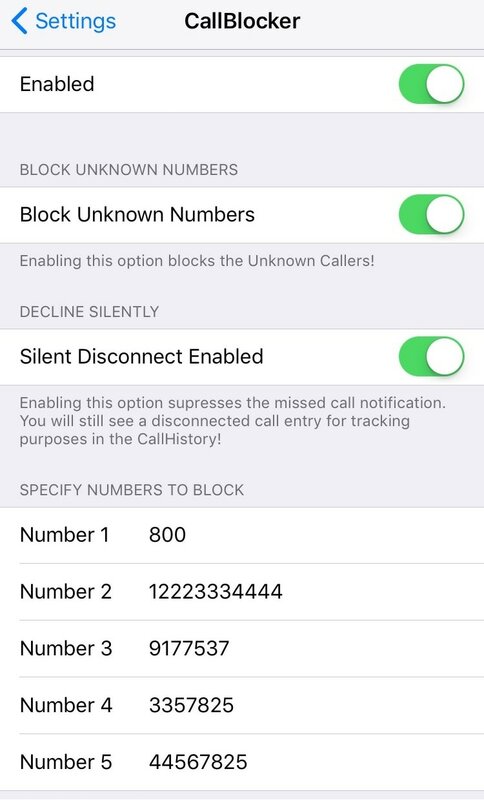 A wide assortment of call-blocking apps can be found in the App Store, but a new free jailbreak tweak called CallBlocker by iOS developer Kiran Patil promises to deliver a more in-depth experience. CallBlocker stands out from competing App Store options by providing a more fine-grained control over blocked callers. The tweak lets you choose between blocking or suppressing call notifications for unknown numbers. Otherwise, you can specify particular phone numbers, country codes, area codes, etc. that you don’t feel like dealing with. As the developer notes, it’s essential to enter the phone number exactly as it would be shown in the incoming call interface. You don’t need to include the “+” icon when relevant, but you do need to add the full country code and area code for the tweak to work.